(3) pour l’envoi d’une lettre: faites-le en courrier normal (surtout pas de courrier en recommandé ni recommandé avec accusé de réception). 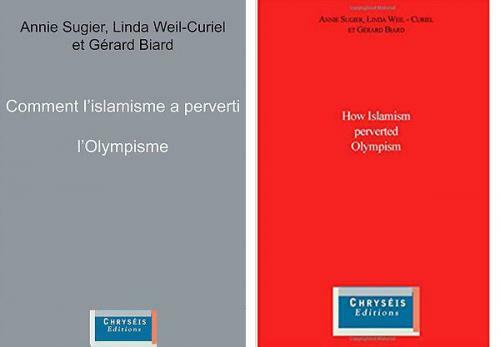 « How Islamism perverted Olympism », est désormais disponible en livre broché dans la boutique Amazon : Buy the English version here. The media largely commented the « sport diplomacy » led by such countries as Qatar. 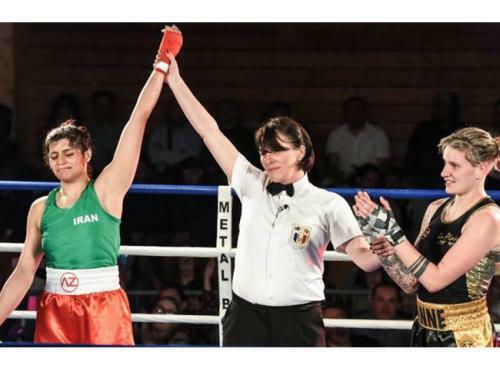 But they almost never evoke the claims of Islamist theocracies to subject Muslim sportswomen with rules of their own, as a condition to allow them to participate in competitions such as the Olympics. From the 1992 Barcelona Games to Rio 2016 this book reveals their strategy. It describes how Iran and Saudi Arabia, with the very active complicity of international Women and Sports networks, led the sports authorities to flout their own ethical and technical rules, and therefore the universalism of modern sport: they shamefully accepted a discrimination between women athletes imposed by those countries, and requirements such as : outfit covering the whole body and head, refusal of disciplines that are not deemed coranic, refusal of both women and men being together. 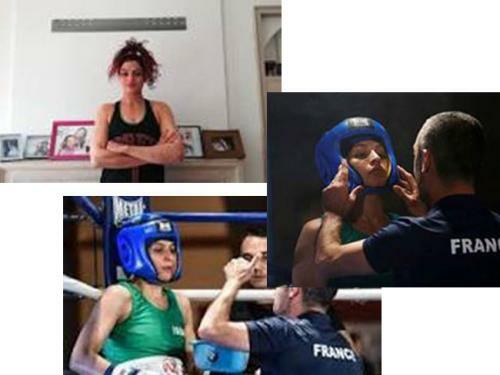 Thus they betray the Muslim women pioneer heroes and Olympic medalists of North Africa threatened by extremists because they respect the common rule of sport. In addition a chapter reveals how sport, specially football, is being used to recruit soldiers among the young people by dangerous forces. 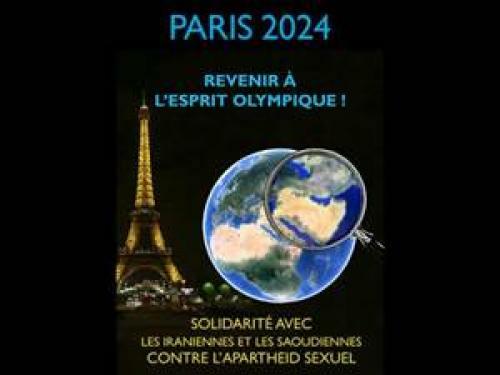 Paris 2024 : Solidarité avec les iraniennes et les saoudiennes contre l'Apartheid Sexuel ! Aidez-nous à faire respecter l'universalisme des droit fondamentaux ! Promouvoir la notion d'universalisme des droits humains est l'un de nos combats prioritaires. L'organisation par Paris des Jeux Olympiques et Paralympiques de 2024 constitue une occasion unique de défendre les « valeurs universelles fondamentales » telles qu’inscrites dans la CHARTE OLYMPIQUE, incluant une forme exigeante de laïcité (la règle 50). Il n’est pas trop tôt pour agir, car dès cette année, le Ministère de l'Education Nationale, en liaison avec les Organisateurs des Jeux, lance des programmes en direction de la « Génération 2024 ». La BROCHURE intitulée « Revenir à l'esprit Olympique ! » explicite nos arguments et énumère les associations en soutien. Dites-nous si vous souhaitez que votre association apparaisse dans cette liste. Annie Sugier, présidente de la Ligue du Droit International des Femmes, association créée par Simone de Beauvoir. 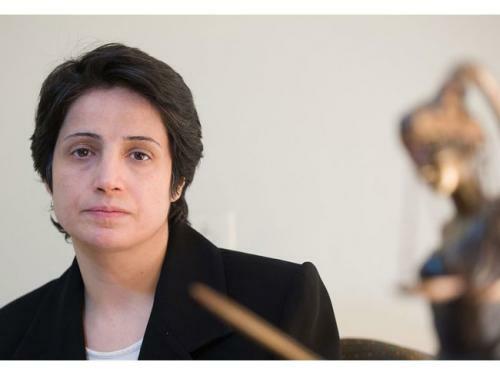 SOLIDARITY WITH THE IRANIAN AND SAUDI WOMEN! We need your help to promote universalism! The promotion of the concept of universality of human rights is an essential issue as it is too often criticized for the wrong reasons. The organization of the 2024 Paris Olympic and Paralympic Games offer a unique opportunity to demonstrate the necessity of a strict implementation of these principles as stated in the OLYMPIC CHARTER (nondiscrimination and political and religious neutrality). Those who don’t comply with the Charter should be sanctioned. It’s not too soon to draw the attention of the organizers to this issue as they are just launching programs promoting the Olympic Values towards the so-called “2024 Generation”. If you want to know more about the issue, read the LEAFLET “ Implement the Olympic Charter!”. Tell us if you want us to add the name of your NGO as supporting the project. Annie Sugier, president of the League of International Rights of Women, Association founded by Simone de Beauvoir. Aidez-nous à faire respecter l'universalisme des droit fondamentaux ! SIGNEZ LA PETITION !